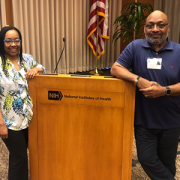 African Americans who either donated a kidney, received a kidney donation, are on dialysis awaiting a kidney transplant or have a close relative in one of those categories are helping to perfect a new study that aims to improve outcomes after kidney transplantation. The study is called APOLLO, short for APOL1 Long-Term Kidney Transplantation Outcomes Network. Soon, the observational study will begin to enroll people who access transplant centers around the nation to genotype deceased and living African American kidney donors and transplant recipients to assess whether they carry a high-risk APOL1 gene variant. 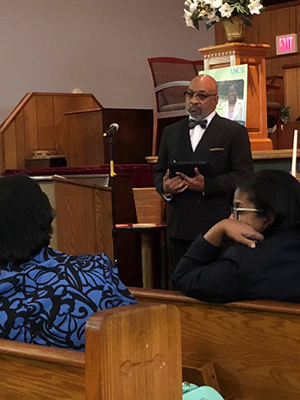 The study’s Community Advisory Council – African American stakeholders who know the ins and outs of kidney donation, transplantation and dialysis because they’ve either given or received an organ or are awaiting transplant – are opening the eyes of researchers about the unique views of patients and families. 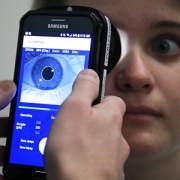 Already, they’ve sensitized researchers that patients may not be at the same academic level as their clinicians, underscoring the importance of informed consent language that is understandable, approachable and respectful so people aren’t overwhelmed. They have encouraged the use of images and color to explain the apolipoprotein L1 (APOL1) gene. 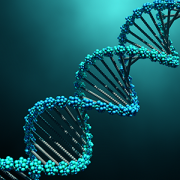 The APOL1 gene is found almost exclusively in people of recent African descent, however only 13 percent of these people carry the high-risk APOL1 variant that might cause kidney problems. One issue arose early, during one of the group’s first monthly meetings, as they discussed when to tell patients and living donors about the APOLLO study. Someone suggested the day of the transplant. “The Community Advisory Council told them that would not be appropriate. These conversations should occur well before the day of the transplant,” recalls Nichole Jefferson. Gee received his kidney transplant on April 21, 2017, and spent 33 days in the hospital undergoing four surgeries. His new kidney took 47 days to wake up, which he describes as a “very interesting journey.” Jefferson received her first transplant on June 12, 2008. Because that kidney is in failure, she is on the wait list for a new kidney. Jefferson’s encounters are more unstructured, informing people who she meets about her situation and kidney disease. When she traveled from her Des Moines, Iowa, home to Nebraska for a transplant evaluation, the nephrologist there was not aware of the APOL1 gene. About 100,000 U.S. children and adults await a kidney transplant. APOLLO study researchers believe that clarifying the role that the APOL1 gene plays in kidney-transplant failure could lead to fewer discarded kidneys, which could boost the number of available kidneys for patients awaiting transplant. Gee advocates for other patients and families to volunteer to join the APOLLO Community Advisory Council. He’s still impressed that during the very first in-person gathering, all researchers were asked to leave the table. Only patients and families remained. 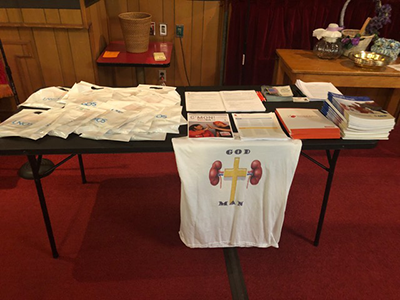 Jefferson encourages other people personally impacted by kidney disease to participate in the APOLLO study. 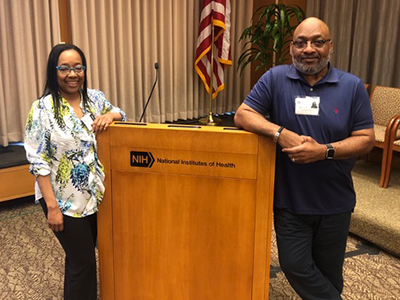 A Children’s researcher has received a $2 million grant from the National Institutes of Health (NIH) to study nephrotic syndrome in Drosophila, a basic model system that has revealed groundbreaking insights into human health. 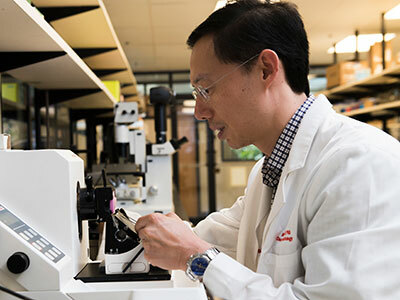 The award for Zhe Han, Ph.D., an associate professor in Children’s Center for Genetic Medicine Research, is believed to be the first ever NIH Research Project grant (R01) to investigate glomerular kidney disease using Drosophila. Nephrotic syndrome is mostly caused by damage of glomeruli, so it is equivalent to glomerular kidney disease. 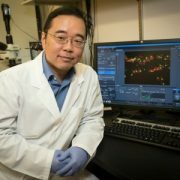 “Children’s National leads the world in using Drosophila to model human kidney diseases,” Han says. 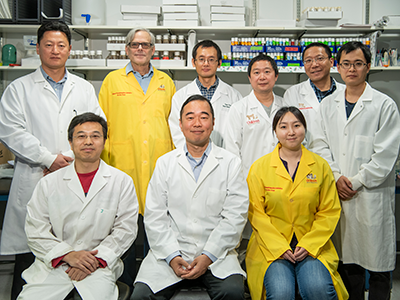 In order to qualify for the five-year funding renewal, Han’s lab needed to successfully accomplish the aims of its first five years of NIH funding. 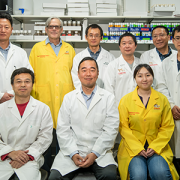 During the first phase of funding, Han established that nephrocytes in Drosophila serve the same functions as glomeruli in humans, and his lab created a series of fly models that are relevant for human glomerular disease. “Some 85 percent of the genes known to be involved in nephrotic syndrome are conserved from the fly to humans. They play similar roles in the nephrocyte as they play in the podocytes in human kidneys,” he adds. 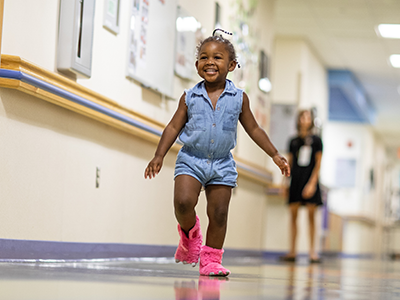 Pediatric nephrotic syndrome is a constellation of symptoms that indicate when children’s kidneys are damaged, especially the glomeruli, units within the kidney that filter blood. Babies as young as 1 year old can suffer proteinuria, which is characterized by too much protein being released from the blood into the urine. “It’s a serious disease and can be triggered by environmental factors, taking certain prescription medicines or inflammation, among other factors. Right now, that type of nephrotic syndrome is mainly treated by steroids, and the steroid treatment works in many cases,” he says. However, steroid-resistant nephrotic syndrome occurs primarily due to genetic mutations that affect the kidney’s filtration system: These filters are either broken or the protein reabsorption mechanism is disrupted. With the new funding, Han will examine a large array of genetic mutations that cause nephrotic syndrome. 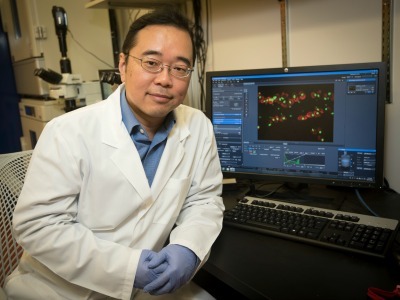 He’s focusing his efforts on genes involved in the cytoskeleton, a network of filaments and tubules in the cytoplasm of living cells that help them to maintain shape and carry out important functions. “Right now, we don’t really understand the cytoskeleton of podocytes – highly specialized cells that wrap around the capillaries of the glomerulus – because podocytes are difficult to access. To change a gene requires time and considerable effort in other experimental models. However, changing genes in Drosophila is very easy, quick and inexpensive. We can examine hundreds of genes involving the cytoskeleton and see how changing those genes affect kidney cell function,” he says. Han’s lab already found that Coenzyme Q10, one of the best-selling nutrient supplements to support heart health also could be beneficial for kidney health. For the cytoskeleton, he has a different targeted medicine in mind to determine whether Rho inhibitors also could be beneficial for kidney health for patients with certain genetic mutations affecting their podocyte cytoskeleton. 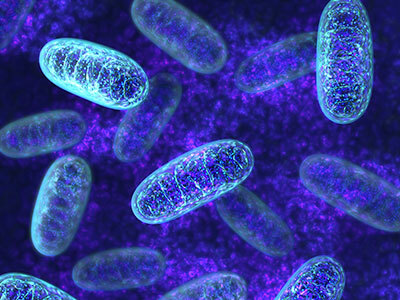 Mitochondria are the cell’s powerplants and inside them the MTP enzymatic complex catalyzes three steps in beta-oxidation of long-chain fatty acids. In one family, genetic lightning struck twice. Two sisters were diagnosed with mitochondrial trifunctional protein (MTP) deficiency. This is a rare condition that stops the body from converting fats to energy, which can lead to lactic acidosis, recurrent breakdown of muscle tissue and release into the bloodstream (rhabdomyolysis), enlarged heart (cardiomyopathy) and liver failure. Mitochondria are the cell’s powerplants and inside them the MTP enzymatic complex catalyzes three steps in beta-oxidation of long-chain fatty acids. 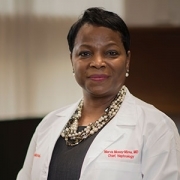 MTP deficiency is so rare that fewer than 100 cases have been reported in the literature says Hostensia Beng, M.D., who presented an MTP case study during the American Society of Nephrology’s Kidney Week. The 7-month-old girl with known MTP deficiency arrived at Children’s National lethargic with poor appetite. Her laboratory results showed a low corrected serum calcium level, elevated CK level and protein in the urine (proteinuria) at a nephrotic range. The infant was treated for primary hypoparathyroidism and rhabdomyolysis. Even though the rhabdomyolysis got better, the excess protein in the girl’s urine remained at worrisome levels. A renal biopsy showed minimal change disease and foot process fusion. And electron microscopy revealed shrunken, dense mitochondria in visceral epithelial cells and endothelium. 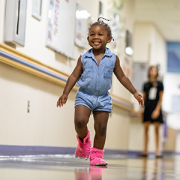 “We gave her tacrolimus, a calcineurin inhibitor that we are well familiar with because we use it after transplants to ensure patient’s bodies don’t reject the donated organ. By eight months after treatment, the girl’s urine protein-to-creatinine (uPCR) ratio was back to normal. At 35 months, that key uPCR measure rose again when tacrolimus was discontinued. When treatment began again, uPCR was restored to normal levels one month later,” Dr. Beng says. The girl’s older sister also shares the heterozygous deletion in the HADHB gene, which provides instructions for making MTP. That missing section of the genetic how-to guide was predicted to cause truncation and loss of long-chain-3-hydroxyacl CoA dehydrogenase function leading to MTP deficiency. The older sister was diagnosed with nephrotic syndrome and having scar tissue in the kidney’s filtering unit (focal segmental glomerulosclerosis) when she was 18 months old. By contrast, she developed renal failure and progressed to end stage renal disease at 20 months of age. “Renal involvement has been reported in only one patient with MTP deficiency to date, the older sister of our patient,” Dr. Beng adds. Podocytes are specialized cells in the kidneys that provide a barrier, preventing plasma proteins from leaking into the urine. Podocytes, however, need energy to function and are rich in mitochondria. 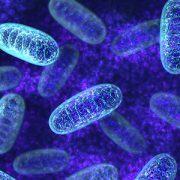 “The proteinuria in these two sisters may be related to their mitochondrial dysfunction. Calcineurin inhibitors like tacrolimus have been reported to reduce proteinuria by stabilizing the podocyte actin cytoskeleton. Tacrolimus was an effective treatment for our patient, who has maintained normal renal function, unlike her sister,” Dr. Beng says. 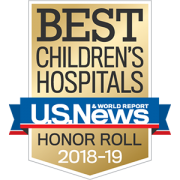 Hostensia Beng, M.D., lead author; Asha Moudgil, M.D., medical director, transplant, and co-author; Sun-Young Ahn, M.D., MS, medical director, nephrology inpatient services, and senior author, all of Children’s National Health System. 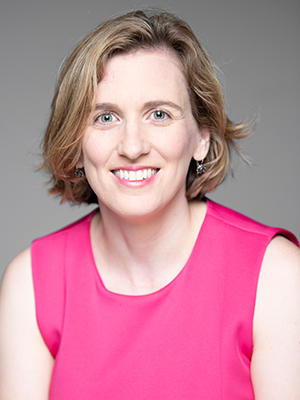 Lisa M. Guay-Woodford, M.D., is internationally recognized for her examination of the mechanisms that make certain inherited renal disorders particularly lethal, a research focus inspired by her patients. 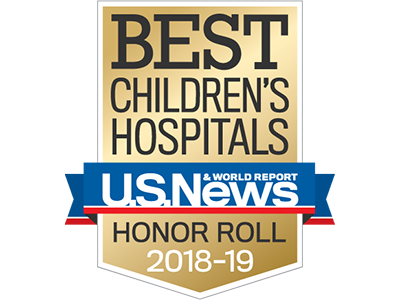 When Children’s National pediatric nephrologist Lisa Guay-Woodford, M.D., was an intern at Boston Children’s Hospital, a baby with autosomal recessive polycystic kidney disease (ARPKD) was admitted to one of the hospital’s neonatal intensive care units (NICU). This disease, which causes cysts to form in the kidney and liver, kills about one-fifth of babies within the newborn period due to related problems that affect lung development. But this baby seemed like a survivor, Dr. Guay-Woodford remembers. The child passed the newborn period and graduated from the NICU, although she went home with severe blood pressure issues. Along with a team of colleagues, Dr. Guay-Woodford helped to manage this patient’s care, juggling normal infant concerns with her ARPKD. As far as Dr. Guay-Woodford knew at the time, this baby was beating the odds against her, growing and thriving. But one day near the end of her internship period, Dr. Guay-Woodford was called to the emergency department. Her patient was in a hypertensive crisis that ultimately killed her. Dr. Guay-Woodford vowed to change that. Since then, she’s devoted her career to studying ARPKD and other inherited kidney diseases. 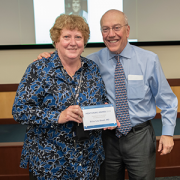 After finishing her residency and fellowship in Boston, Dr. Guay-Woodford was recruited to the University of Alabama, where she began caring for a cadre of 40 patients with inherited renal disorders. Fueled by the research questions that arose while working with these patients, she and her colleagues searched for PKD-related genes in the cpk mouse model, an animal that mimics many of the features of human ARPKD. 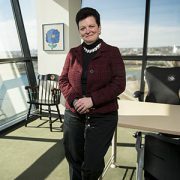 Dr. Guay-Woodford and her team cloned several of the key genes that caused recessive PKD in this mouse and other mouse models and eventually went on to identify the first major genetic modifier of PKD in these animals – a gene that wasn’t directly responsible for the disease but could sway its course. In time, her collaborative group became one of two that co-indentified the major gene responsible for human ARPKD. 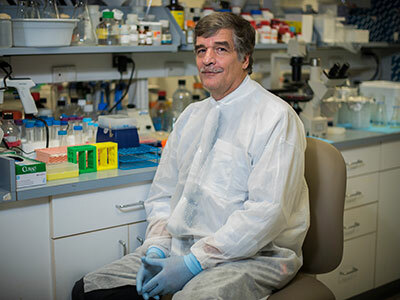 In 2005, Dr. Guay-Woodford led a team of investigators at the University of Alabama-Birmingham to establish one of just four PKD translational core centers funded by a National Institutes of Health P30 grant. 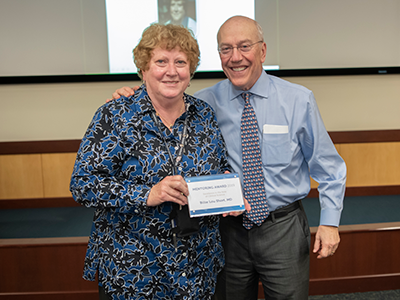 After moving to Children’s National in 2012, Dr. Guay-Woodford still co-directs this PKD translational core center while also caring for patients at her inherited renal disorders clinic. She and her colleagues here and beyond continue to work with mouse models of this disease, trying to ferret out the vast network of genes that interact in ARPKD and their specific roles. She and her team also are currently working with a pharmaceutical company to develop the first clinical trial to test a treatment for ARPKD. 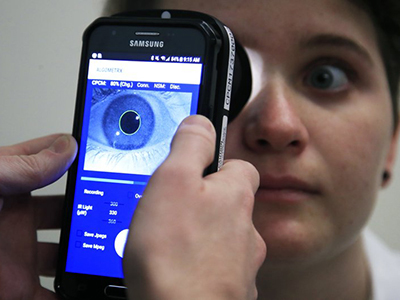 This effort has relied heavily on a clinical database that Dr. Guay-Woodford and colleagues worldwide maintain to track patients with this and related conditions. 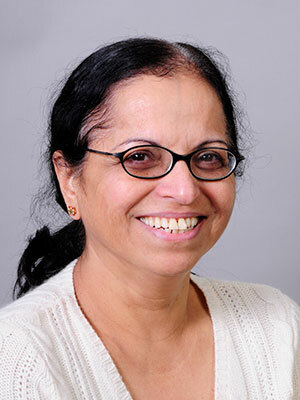 Through the extensive collection of clinical information in this database – including a variety of data on patients’ gestation and birth, growth, and kidney structure and function – the team has identified a core cohort of patients whose disease is rapidly progressing, a characteristic that makes them prime candidates to test this potential new treatment. 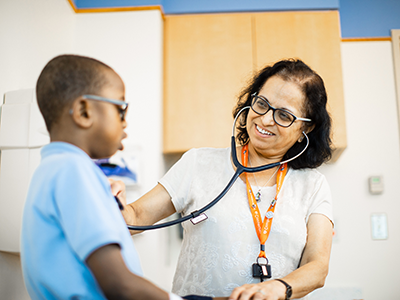 With the meeting in Washington this year, Children’s National Health System will be the local host, a distinct honor for an academic medical center that treats hundreds of nephrology patients each year, says pediatric Nephrologist Asha Moudgil, M.D., who directs Children’s kidney transplant service. 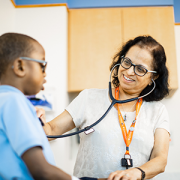 Pediatric nephrology is a relatively small specialty worldwide, encompassing just a few hundred doctors in the U.S. For each allied health field that provides collaborative care with these physicians – including nutrition, child-life, psychology and social work – the numbers of providers are even smaller. There are no national meetings for these individual subspecialty fields and no venues to meet new like-minded colleagues or learn about new research or protocols. Six years ago, the American Society of Pediatric Nephrology (ASPN) aimed to help resolve this dilemma by launching a new multidisciplinary symposium that brings together allied health professionals of all kinds within pediatric nephrology. Each year, the “ASPN Multidisciplinary Symposium” changes locations, allowing the meeting to target different regional groups of allied health professionals based on geography. 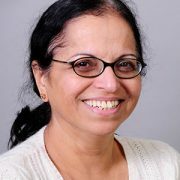 With the meeting in Washington this year, Children’s National Health System will be the local host, a distinct honor for an academic medical center that treats hundreds of nephrology patients each year, says pediatric Nephrologist Asha Moudgil, M.D., who directs Children’s kidney transplant service. There are multiple advantages to having the symposium in Washington, Dr. Moudgil explains. One is access to Children’s experts in this field, who have a wealth of experience in managing issues that affect patients who live in the greater Washington area. 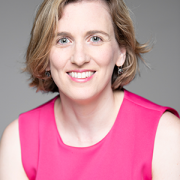 For example, the keynote address scheduled for the meeting’s opening night will be delivered by Jennifer Verbesey, M.D., Children’s surgical director of pediatric kidney transplantation, focusing on living donation in minority populations. Living kidney donors and recipients who are minorities have unique issues that can affect organ longevity, explains Dr. Moudgil, which may not be well known by all clinicians. Registered Dietitian Kristen Sgambat, Ph.D., RD, and Dr. Moudgil are co-leading a breakout session on nutritional challenges and enteral supplementation in chronic kidney disease. Another advantage to holding the meeting in the nation’s capital is its close proximity to government research and federal regulatory agencies, such as the Food and Drug Administration (FDA) and the National Institutes of Health (NIH). Speakers from both agencies will be present, talking about how the FDA approves medicines for pediatric patients and offering details about the NIH’s rare disease program. Besides the abundance of more formal knowledge-sharing, Dr. Moudgil adds, there will be plenty of opportunities for attendees to network, making connections within and outside their own respective fields. As featured in a PBS video, schistosome worms form lifelong bonds and females produce thousands of eggs daily only when they live inside human hosts, says Michael H. Hsieh, M.D., Ph.D.
“Love is in the air, the sea, the earth and all over and inside our bodies,” the PBS Valentine’s Day-themed video begins. As the public television station notes, what humans consider romance can look vastly different for creatures big and small, including serenading mice, spiders who wrap their gifts in silk and necking giraffes. 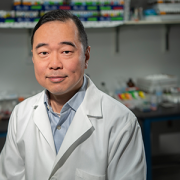 The “spooning” parasites segment of the video is where viewers see research conducted by Michael H. Hsieh, M.D., Ph.D., director of the Clinic for Adolescent and Adult PedIatric OnseT UroLogy at Children’s National Health System, and video filmed in his lab. Schistosomiasis, a chronic infection with schistosome worms, is a distinctly one-sided love affair. As shown in Dr. Hsieh’s video clips, the male worm is shorter and fatter and equipped with a groove, a love canal where the longer, thinner female lodges, enabling the pair to mate for decades. This lifelong bond and the thousands of eggs it produces daily can only occur when the worms are inside the human host, Dr. Hsieh says. 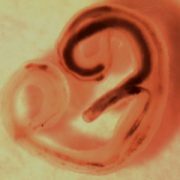 While the video stresses Valentine’s Day romance, there are few rosy outcomes for humans who are the subject of the schistosome worms’ attention. Even the potential bright spot in this sobering story, the ability of the body’s immune system to fend off the parasitic worms, is only partly good news. Schistosome worms have co-evolved with their human hosts, learning to take advantage of human vulnerabilities. Take the immune system. If it kicks too far into overdrive in trying to wall off the eggs from the rest of the body, it can interfere with organ function and trigger liver failure, kidney failure and early onset of bladder cancer, he says. 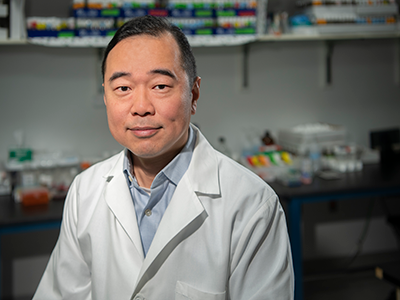 However, Dr. Hsieh and other schistosomiasis researchers are working on ways to positively harness the human immune response to schistosome worms, including developing diagnostics, drugs and vaccines. He says he and his colleagues would “love” to eliminate schistosomiasis as a global scourge. 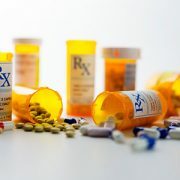 Fewer than 50 percent of pharmaceuticals approved by federal authorities are explicitly approved for use in kids, and even fewer devices are labeled for pediatric use. When children develop kidney disease, it can play out in dramatically different ways. They can experience relatively mild disorders that respond to existing treatments and only impact their lives for the short term. Children also can develop chronic kidney disease that defies current treatments and can imperil or end their lives. 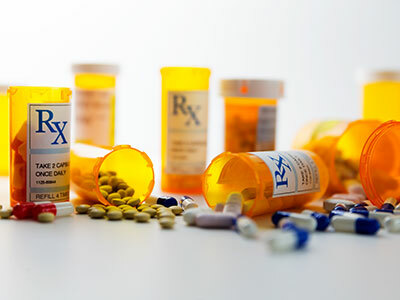 Fewer than 50 percent of pharmaceuticals approved by federal authorities are explicitly approved for use in kids, and even fewer devices are labeled for pediatric use. Congress has offered incentives to manufacturers who study their treatments in children, but the laws do not require drug makers to demonstrate statistical significance or for the clinical trial to improve or extend children’s lives. 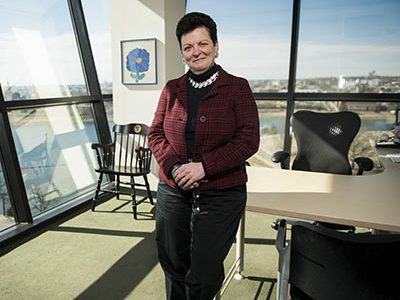 To overcome such daunting obstacles, the American Society of Pediatric Nephrology established a Therapeutics Development Committee to forge more effective public-private partnerships and to outline strategies to design and carry out pediatric nephrology clinical trials more expeditiously and effectively. 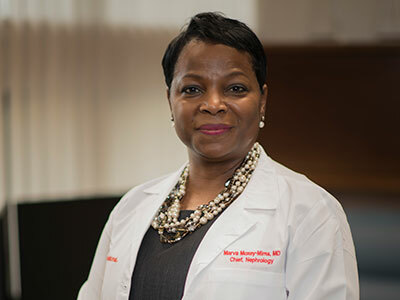 A paper summarizing their efforts thus far, “Enhancing clinical trial development for pediatric kidney diseases,” written by Dr. Moxey-Mims and 15 co-authors, was published online Aug. 30 by Pediatric Research. The journal’s editors will feature the review article in the “Editor’s Focus” of an upcoming print edition of the publication. The committee is comprised of academic pediatric nephrologists, patient advocates, private pharmaceutical company representatives and public employees at the Food and Drug Administration and the National Institutes of Health. But it is likely to grow in size and in stakeholder diversity. Already, committee members have learned that they achieve better results by working together. Early communication can avoid flaws in designing clinical trials, such as overestimating the volume of clinical samples that can feasibly be collected from a small child, or that could misinterpret the type of data needed to secure federal approval. While public and private investigators took similar approaches to clinical trial design, academic investigators were more conceptual as they summarized their study design Road Map. Industry representatives, by contrast, included more granular detail about study organization and milestones along the path toward regulatory approval. According to the study authors, both groups understand the critical role that patients and families can play in early research study design, such as accelerating patient recruitment, bolstering the credibility of research and helping to translate research results into actual clinical practice.